Normally I would associate New Zealand with all things Lord of the Rings (it's exactly where my mind wanders to when I start thinking about New Zealand) and while my trip back to the beautiful North Island was filled with many wondrous LoTR related adventures I was able to find a special kind of experience in an unexpected place. 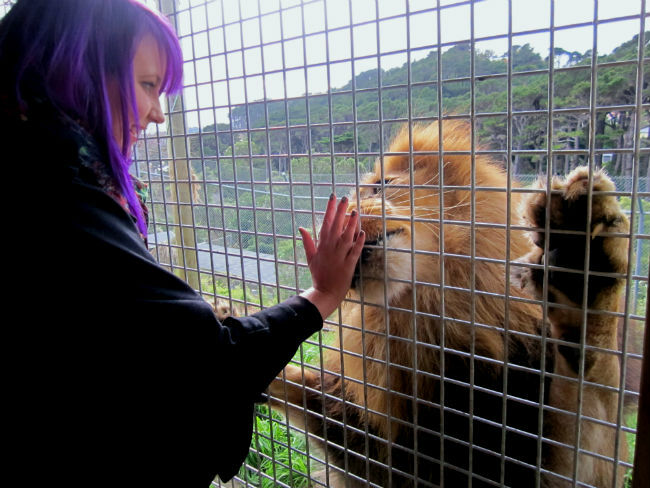 I can remember reading about a trip to Wellington Zoo that Gala Darling took in 2011 where she did a "Zookeeper experience" and was able to hand feed lions. The image on her website stuck in my mind and I promised myself if and when I headed back to New Zealand that I would do this too. It was probably (if I'm being honest) a main driving factor of going back to New Zealand and more specifically the north island (that and Sir Ian McKellan was touring at the time). 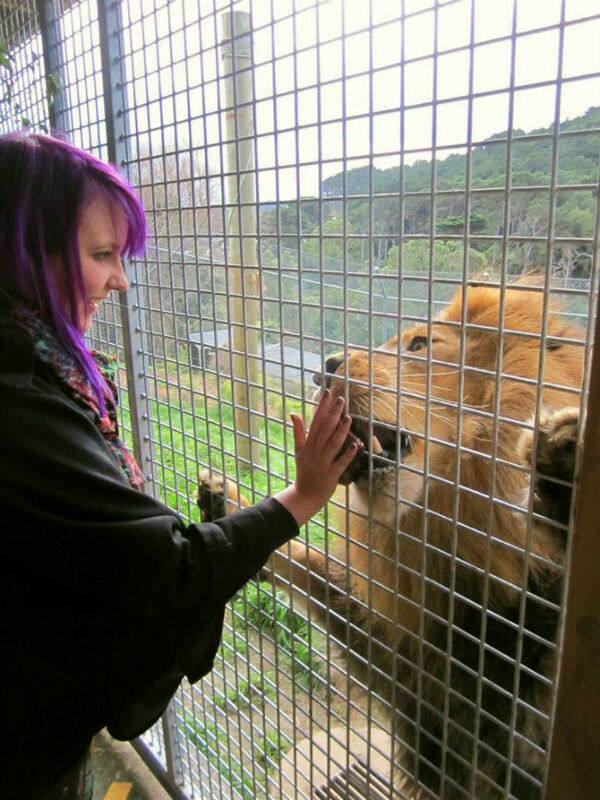 When we were in the planning stages of this trip I can remember having a conversation about the different animal encounters that Wellington Zoo offered. For some reason it became a discussion between Crystal (my sister), Lauren and I which one we would actually do. The choice was between the Red Pandas and the Lions. It wasn't a very long conversation or discussion. 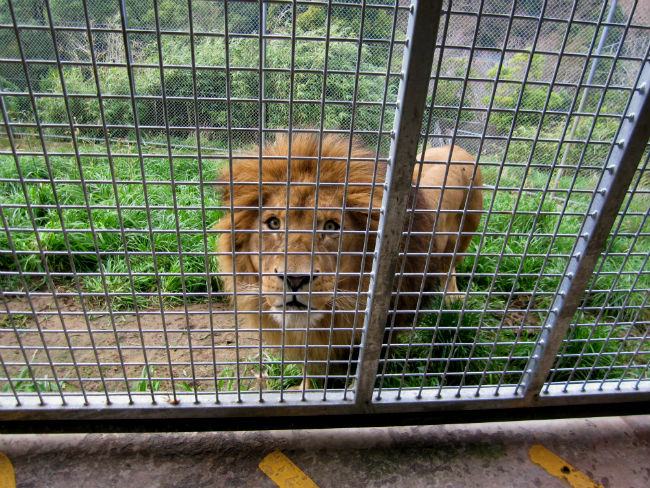 By the time we reached Wellington on this trip we had already patted lion cubs in Rotorua at the Paradise Valley Springs Wildlife Park and had seen lions fed up close but we knew this face to face encounter with the lions was going to be something special. I still don't know if I can properly describe the fear and joy involved with being face to face with a full grown lion. Our zookeeper for the day led us into the lion enclosure - there are some very sturdy fences between us and the lions at all times, we weren't just walking through their enclosure, these are wild animals. They had the three lionesses inside the enclosure and there were two male lions out in the main enclosure (where you could see them if you were just visiting the zoo). When I saw that we were "playing" with the female lionesses there was a small level of disappointment (that didn't last long) - the boys were so huge and beautiful. The zookeeper showed us how they train the lionesses and explained to us that they do this to make it easier to do medical exams on the animals. It made it more comfortable for the lions especially if they could examine them without having to drug them. 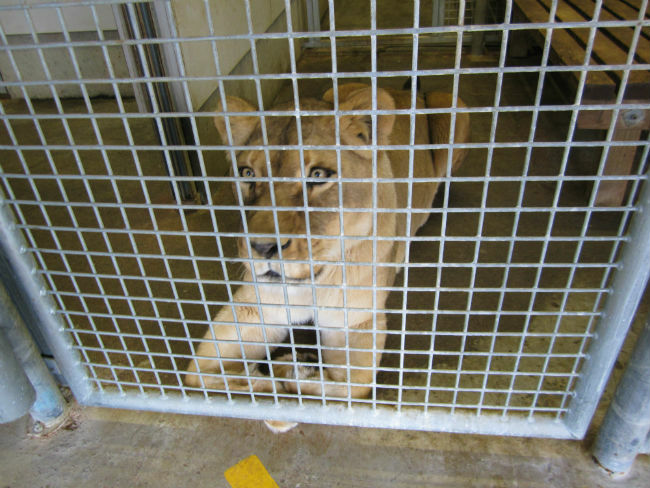 She had one of the lionesses go into a smaller adjustable cage where we got to first touch her tail - which was SO strong. My hands were shaking when it got to my turn to touch her tail - even though she was behind a caged fence I was touching such a powerful, strong, dangerous animal and it felt unreal and unnatural. After the zookeeper showed us how they are trained (this also involved having the lioness reach up with two paws on the fence in front of us) she then brought out the bucket of horse meat and said "if we were brave enough" we could hand feed the lionesses. She didn't have to tell us twice, we took turns feeding the lionesses. The way we did that was by putting the piece of bloody horse meat flat on our palms and placing our palms on the fence - making sure we didn't bend our fingers - and the lioness would lick the meat out of our hands through the fence. A LIONESS LICKED MY HAND. Their tongues were like a stronger, bigger version of your cats tongue - scratchy and warm. While we were feeding the lionesses, the two male lions got interested in what we were doing and began stalking the cage area that we were in. The zookeeper asked if we wanted to feed the boys and we didn't hesitate to turn around and quickly forgot about the ladies. I could have stayed there all day. It was one of the most magical, frightening, amazing, surreal, beautiful things I have ever experienced. To look into the eyes of a fully grown lion and have it lick food out of your hands is something I will never forget. The best thing about this experience is that if you visit the beautiful city of Wellington in New Zealand you can do this too. It costs NZD $130 per person to do this animal encounter at the Wellington Zoo and I have to say it's worth EVERY penny (we paid the fee to do this, and I'd pay it again in a heartbeat). They take bookings online and 10% of the proceeds of the "encounter fee" goes directly to conservation projects that are supported by the Wellington Zoo Conservation Fund.